Normally the most traumatic issues in family law is the child custody battle. Children are often caught in the middle, and having an attorney with experience with High Point Child Custody cases will give you and your children an advantage. At Dummit Fradin, we have expertise and practice special care when dealing with these often emotional issues. Contact Us today and let us help you. Ending a relationship impacts the children as well as the parents. Often the children get caught in between the parents during a divorce. The stark truth is that both parents will be a part of the children’s lives going forward. As painful as the split is, it is crucial that you attempt to work out what is best for the kids. We at Dummit Fradin are experienced in navigating these difficult situations, and we will work to get the best results for you and your children’s future’s. We always prefer to work out the details without an ugly battle, but many times you are forced to stand up for your children’s best interests. The Dummit Fradin Child Custody attorneys are ready to stand by you and fight to get the best resolution. Factors that judges consider when deciding Child Custody. High Point Child Custody can be awarded in one of three ways. Most High Point child custody cases will be contested. If you are in military service, the rules change. Temporary Custody. With a previous career as a magistrate for North Carolina, Family Attorney Brett Moore has valuable insight into how courtroom decisions are made. He will guide you through the legal process and help you know what is going to happen. He will help you fight for the things you value. Schedule a consultation today in High Point, NC. If you are looking for a child custody attorney in High Point, Clarke Dummit had been handling High Point child custody cases since 1991. 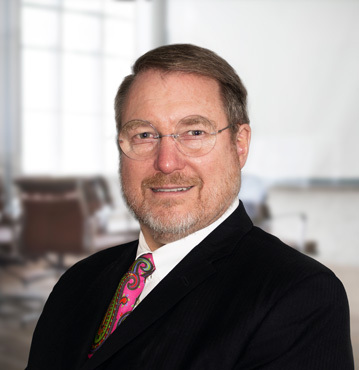 He has litigated in county courthouses across the state, including High Point child custody cases for more than two decades. The High Point child custody courts consider many different factors and criteria when determining custody of a child. These factors can vary depending on the judge and the details of the case, but there is a common theme to all High Point child custody decisions, the best interests for the child. The court will consider living conditions of both parents, their employment history, criminal records, drug and alcohol use and medical history, just to name a few of the factors. Who can provide a stable home environment. The High Point child custody courts will review the factors related to child custody and then determine the custody arrangements based upon the best interest of the minor child. There are two main types of High Point Child Custody: Legal Custody and Physical Custody. Physical Custody: Who does the minor child live with and spend time with. After determining Legal and Physical Child Custody, the Court must also determine whether a party will be given primary custody or whether the parties will share custody (joint custody). Create custody and visitations agreements that are in the best interests of the child. Decrease the potential for further disputes and hostility. Foster an overall solid ground work of communication that will allow the parents to focus on the child and what is in the best interest of the Minor Child. High Point Child Custody Laws allow for a military parent who has sole or joint custody and who is deployed a substantial distance away, to get the High Point Family courts help in issuing a temporary custody order. Temporary Custody Order may be entered. The Order will terminate within 60 days of the parent returning home.